Opel and its British counterpart, Vauxhall, will adopt PSA Group vehicle platforms entirely from 2024 onwards. The move will see a reduction of the current nine platforms down to two, while powertrain families will be trimmed from 10 to four. All new Opel/Vauxhall vehicles will be engineered in Rüsselsheim, Germany, which will be transformed into a global competence centre for the whole Groupe PSA. This follows PSA’s takeover of the Opel and Vauxhall brands, which was approved by the European Commission in July. 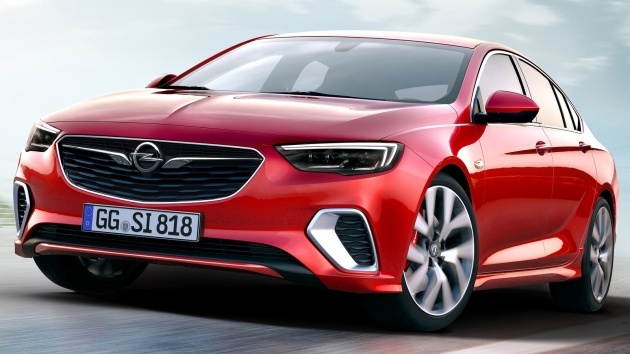 The first Opel models to come about following the acquisition will be the new Combo in 2018 and the next-generation Corsa in 2019, followed by launches every year – nine new models (accounting for each bodystyle) are expected by 2020. Among those will be a large, flagship SUV, with design inspired by the Monza Concept from the 2013 Frankfurt Motor Show. The German marque also aims to have all of its passenger car models electrified to some extent by the same 2024 deadline, with a mix of plug-in hybrid and pure EV models, including a plug-in version of the Grandland X and a fully-electric version of the next-generation Corsa. Market expansion is also on the cards. Opel plans to enter more than 20 new export markets by 2022, and also “explore global midterm overseas profitable export opportunities,” the company said. since parent company Peugoet has a good ties with Naza group in Malaysia, there is some little chance Naza will show interest or asked to set up a distributorship for Opel/Vauxhall in Malaysia. Malaysia used to have Vauxhalls on sale sometime between the 40s-70s. it will be nice to have them making a comeback. Actually, the first two products to come from this merger are already out. The Crossland X is based on the 2008 whereas the Grandland X is based on the 3008.